The most unlikely of individuals are stepping up as heroes for the final battle in MTG War of the Spark. 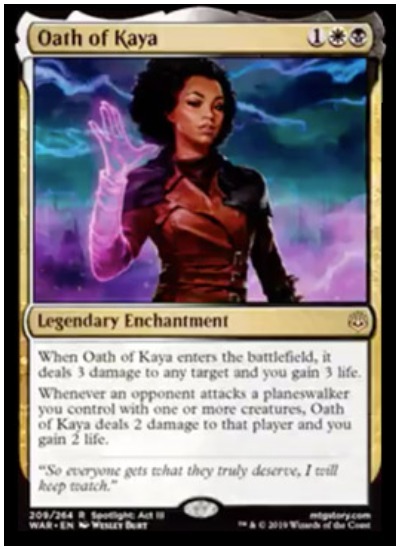 Set to release at the end of April on MTG Arena, Kaya the assassin is joining the Gatewatch with Oath of Kaya. The expansion contains a total of 36 planeswalkers, God-Eternals, and a host of spells that’ll shake up multiple formats in Magic: The Gathering. As a legendary enchantment, Oath of Kaya is a three mana (one black, one white) Orzhov addition. Her choice to join the Gatewatch is personal. “So everyone gets what they truly deserve, I will keep watch,” reads her flavor text. Kaya destroys and replenishes by dealing three damage to any target upon entering the battlefield while also giving three life. As an legendary enchantment, the Oath of Kaya deals two damage to any player who attacks a planeswalker or creature you control. In addition, she provides you two life. This is a huge enchantment in War of the Spark, able to answer board wipes and The Elderspell. While it won’t bring your planeswalkers and creatures back, an opponent will take two damage for each destroyed while you gain two life. For three mana, that’s a good deal. The Oath of Kaya is a bomb in limited play and will find her way into many constructed Standard decks too. She’ll play a huge role in decks with tokens, letting them chump block for defense, damage, and life gain. Having an oath in Orzhov was much needed, giving the guild a new boost and perhaps a competitive chance in the War of the Spark. 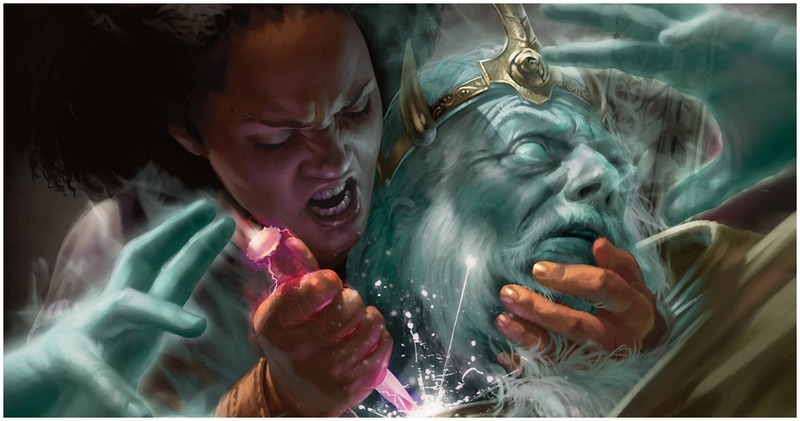 MTG newest expansion War of the Spark is set to release on MTG Arena April 25, prior to the official release date of May 3.